Curved cast iron wall plaque. 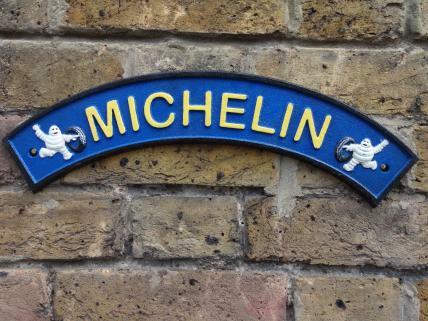 "Michelin". Yellow lettering, white & black figure on blue background.